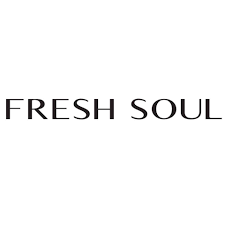 FRESH SOUL is a Sydney based label created in 2003. FRESH SOUL has evolved over the years to be synonymous with blending distinctive styling of day to night wear at affordable price points. Since its arrival on the Australian fashion scene, Fresh Soul has quickly grown into a well-established nationwide brand, bringing the latest trends to our legions of loyal customers. Emphasising on detail & quality, FRESH SOUL blends ‘of the moment’ statement pieces whilst maintaining the label’s classic, fresh style. FRESH SOUL is currently stocked in over 100 boutiques nationally and on The Iconic. FRESH SOUL is continuing to grow and focuses on bringing women clothing intended to embrace their individuality and express their personality through style.